Providing high quality Spray Foam Insulation in Scranton Pennsylvania, Spray Foam Scranton is second to none in customer satisfaction and affordability. With years of experience our insulators have safely insulated residential homes and businesses in Northeastern Pennsylvania for years effectively cutting cost on utility bills and not only adding structural integrity to your home but also adding resale value! Our company strives to be the best spray foam insulation contractors in Scranton and nearby suburbs in Lackawanna and Luzerne Counties. Our locally owned and operated company will keep you cool in the Scranton summer and warm in the cold Northeastern Pennsylvania winters. 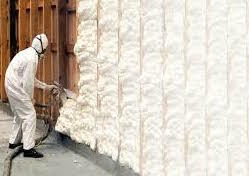 We only use the highest grade, environmentally safe spray foam for our projects. Our insulation contractors here at Spray Foam Scranton are equipped to handle the largest contracts in the area and are happy to work with local residential homeowners and contractors. Do you have drafty rooms? Cold basements or an attic that is leaking heat? 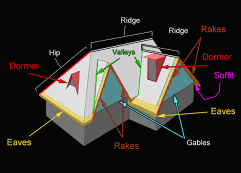 Looking for Attic foam or wondering what attic foam costs? Whether you are looking for open cell or closed cell insulation, give us a call today and our spray foam contractors will give you a free estimate. Historically, homes were generally insulated with either fiberglass or cellulose insulation. These types of insulation have many downfalls and can be very inefficient at insulating. Fiberglass and blown cellulose insulation have the potential for settling over time when installed in walls. This is not the case with spray foam insulation, as it adheres to the existing wall preventing any movement of the insulation. Traditional insulation is also prone to soaking up moisture and retaining water from potential leaks. This could turn into a big problem with water damage as well as mold build up. Mold generates spores which may begin to circulate in your home. 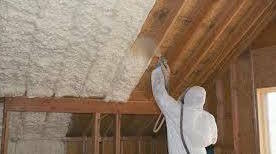 Spray Foam Scranton uses foam insulation that is resistant to moisture and does not hold water like traditional insulation will. Spray foam insulation is also resistant to breakdown by insects and rodents. No more insulation “nests” in the attic! Spray Foam Insulation is also great at reducing outside noise. If you are living in a loud, busy street in Scranton or Northeastern Pennsylvania, spray foam insulation with provide the added benefit of peace and quiet. Spray Foam goes where others don’t! How efficient can fiberglass insulation be if it does not seal the entire space? Spray Foam Insulation expands many times its size to create an air tight seal in your roof, attic or walls. This allows for your HVAC system to operate to maximum efficiency thus, reducing your cabin footprint and cutting costs of heating and cooling bills. By using spray foam insulation to insulate your structure, you are keeping potential hazardous pollutants and allergens out of your home. These pollutants may be harmful to children and pets alike. With Spray Foam Scranton, you can breathe easier. Click here for a free estimate! Don’t wait! Call us now for a free estimate! Spray Foam Scranton works closely with the homeowner or business owner and strategically develops plans based on your needs. There is always full disclosure and no hidden fees and we are always ready and willing to answer any questions that may come up during estimates or the insulation process. Spray Foam insulation is the future; adding integrity to your home, increasing your home's resale value while saving money on utility bills. Give us a call, we are at your service.